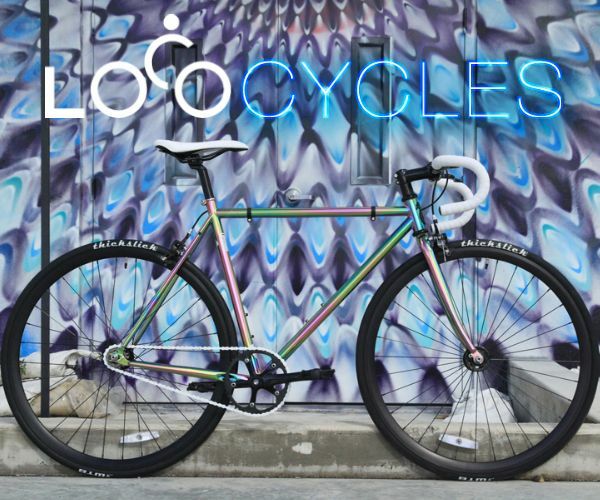 These are slick, they remind motorists how practical cycling is and simultaneously promote the blog, hopefully they can encourage a few folks to get out of their cars an try riding a bicycle to work or school for a change. 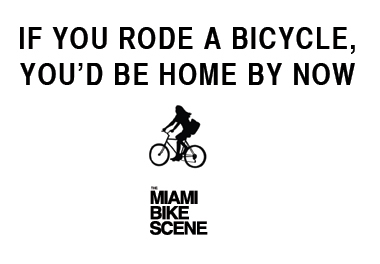 Unlike The Miami Bike Scene logo stickers which have sporadically shown up throughout the city, these labels are primarily intended to be seen by motorists stuck in traffic. The "Why Drive?" design pays homage to the classic "Ride...Metrorail" stencil on the 836/Dolphin Exwy, while the "You'd Be Home By Now" is a nod to surburban living with a slight twist. 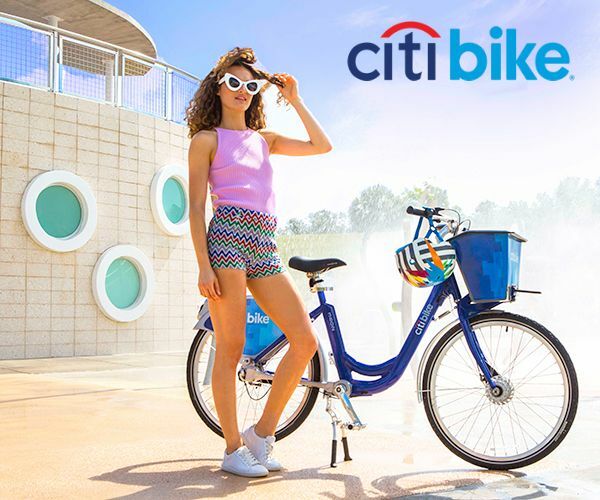 The best opportunity we have as cyclists to encourage motorists to trade their cars for bicycles is when they are at their most vulnerable (i.e. gridlock). While they're frustrated in traffic and cursing their cars we give them the simple message.. cycling can save you a lot of time. 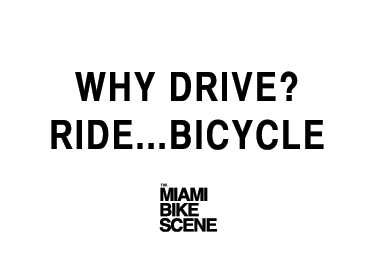 For instance, take S Dixie Hwy/US1 around Coconut Grove, vehicles are backed up for miles during rush hour and cyclists can be observed by motorists moving along swiftly via the M-Path. 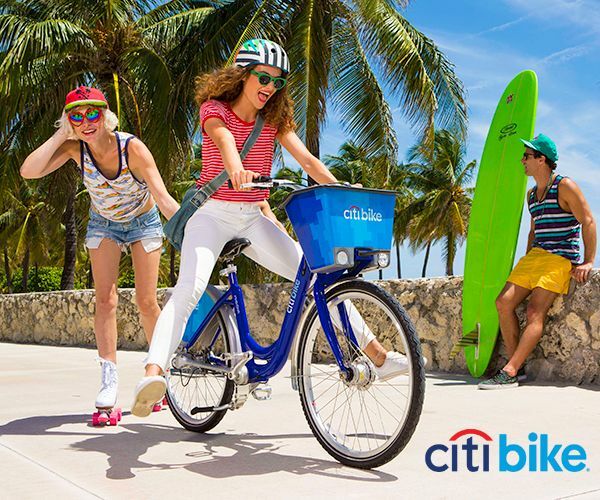 Someone who works in Downtown and lives in the South Miami, Coral Gables, or Coconut Grove area can probably get to and from work faster than someone driving during peak hours. If driving, one has to consider traffic, possible accidents, and then trying to find parking once you've reached your destination. We can then add the cost of fuel and parking to the equation and it makes you wonder why more people aren't cycling to work? 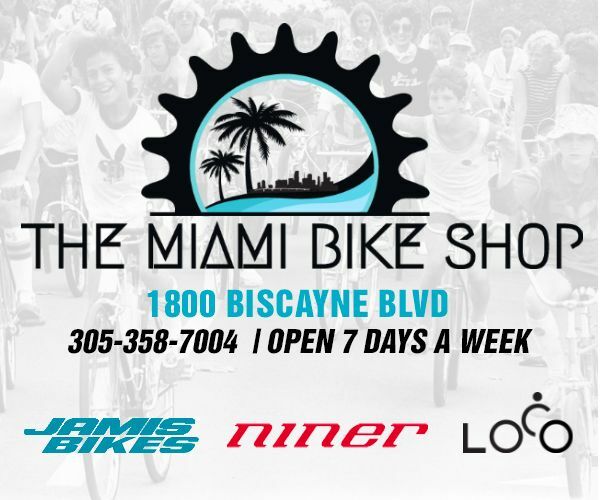 The fact that the M-Path is in dire need of help is a part of the answer, the other part which is more difficult is erasing the S. Florida car-centric mentality. Those are neat. How will they be available? Drivers should support cycling to work, even if they aren't able to do so themselves. Those that can, with the proper support and safety measures, would. Thus alleviating traffic congestion, making it beneficial for those that have to drive. 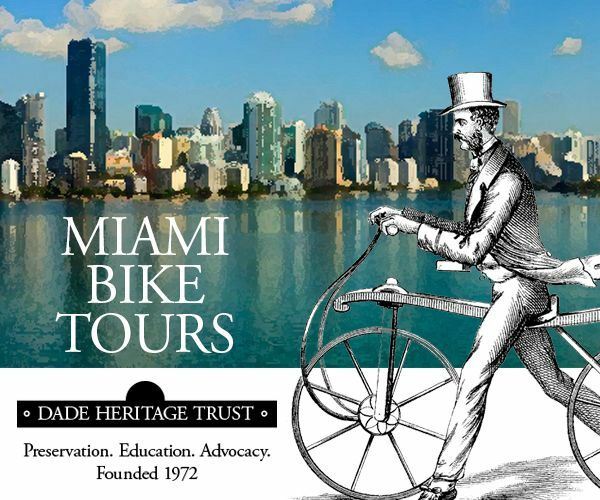 Perhaps if they incorporated more bike friendly public transit and proper lock up in Downtown, Gables, Grove, Brickell areas. It would become more enticing as well. I want one. Feel free to throw one on my car next time you see it.